The Triventure Institute provides in-depth information on focused education tracks: aquatics, facilities, fitness, and wellness and wellbeing. Attendees can attend sessions in any track. Additionally, Triventure attendees will be able to attend recreation facility tours, workout sessions, and networking socials with vendors and sponsor. No matter your area of expertise, broaden your horizons by hopping from the aquatic track to the facilities track to the fitness track, etc. Your registration grants you access to all content. Join us as we visit fantastic facilities — get up close and personal as you learn from innovative solutions. Details on tour locations and logistics are still be worked out. Whether you’re connecting with someone in your area of expertise or reaching out to build a cross-functional network, the NIRSA Triventure is the place to share your business card! Attendees may earn NIRSA CEUs to apply toward the Registry of Collegiate Recreation Sports Professional (RCRSP) credential. The NIRSA Triventure was incredibly relevant to the work that we are currently doing in all three areas of recreation back on our campus. It was an excellent learning experience. NIRSA Triventure is a great conference for a small university as these three areas are key for us and you can gain valuable info on all three areas. The size of the conference is great so that you can build relationships with those attending the conference in a more meaningful way due to the intimate nature of the sessions and the facility tours. Well Done! It was a great opportunity to see some current clients, CSU – Fort Collins and University of Washington. We had the opportunity to meet new clients NDSU and Virginia Tech. We had the opportunity to keep the conversation going with potential clients the University of Central Florida and the University of New Hampshire. 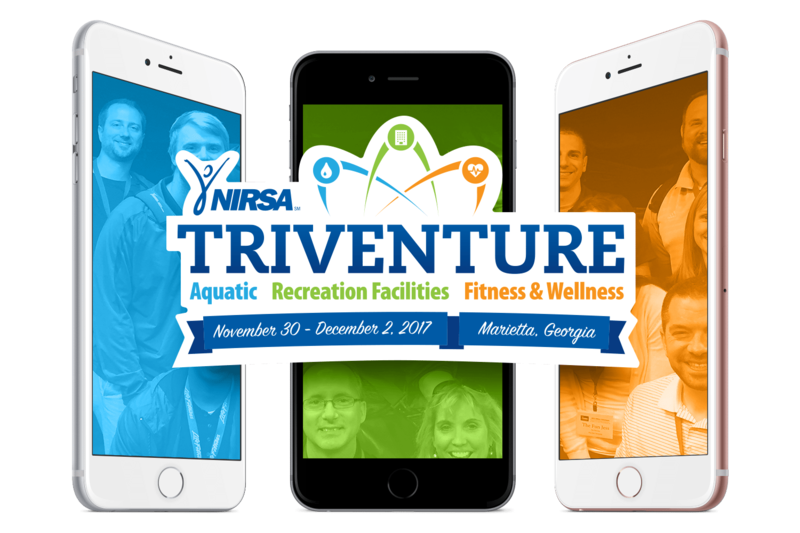 InnoSoft will continue to participate in the NIRSA Triventure. The theme for the institute will be “Facing the Future Together.” This theme highlights the importance of collaboration, especially as recreation professionals tackle, the often unforeseen, challenges the future brings. Whatever is a hot topic for you! The deadline to submit a general educational session proposal, roundtable, and lighting session is May 29. The deadline to submit a preconference proposal is May 8. Save your schedule, share your photos, and connect with other attendees! You can make reservations online (link coming soon). Reservations need to be made no later than 5:00pm local time October 5, 2019 to confirm the discounted group rate. Upon registration, NIRSA encourages all attendees to reserve their hotel accommodations within the NIRSA room block. NIRSA relies on strong room block usage to secure ample meeting space, increase negotiation leverage for future institutes, and offset event expenses. Roommate matching will become available with the opening of registration. Are you presenting at 2017 NIRSA Triventure? Use our custom Google Slide to build out your presentation. Either save to your Google Drive or download as a Powerpoint. Open the document in Google Slides. Be signed in to your Google account. Go to the File menu and select Make a copy. You will get a copy of this document on your Google Drive and will be able to edit, add or delete slides. Edit in Google Slides (recommended) or download as a PowerPoint file to make edits. Got it! Take me to the Google Slide!